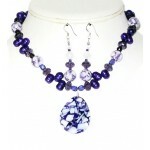 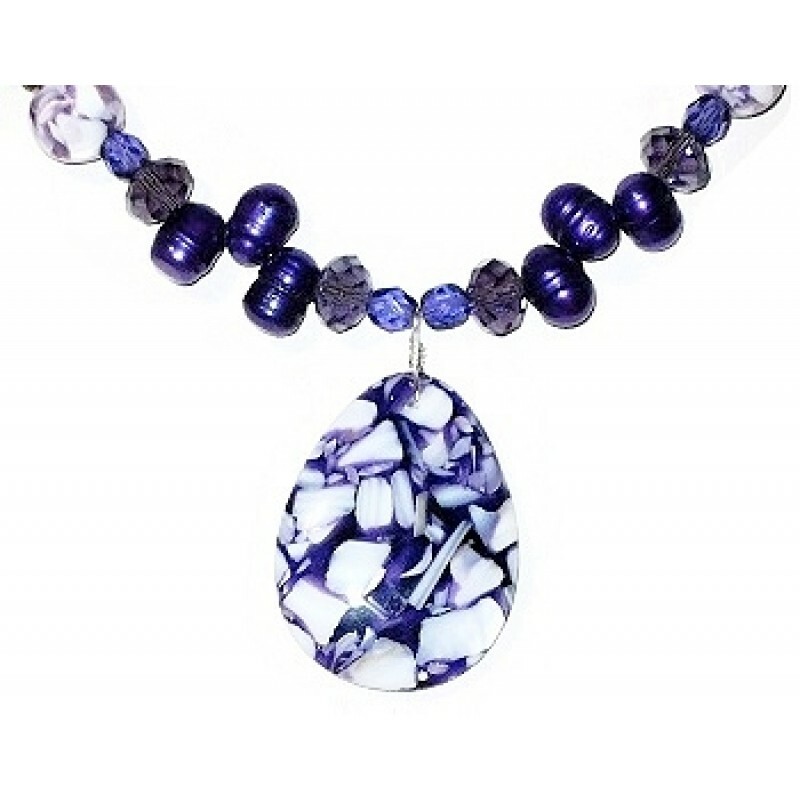 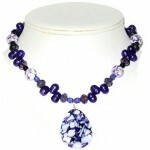 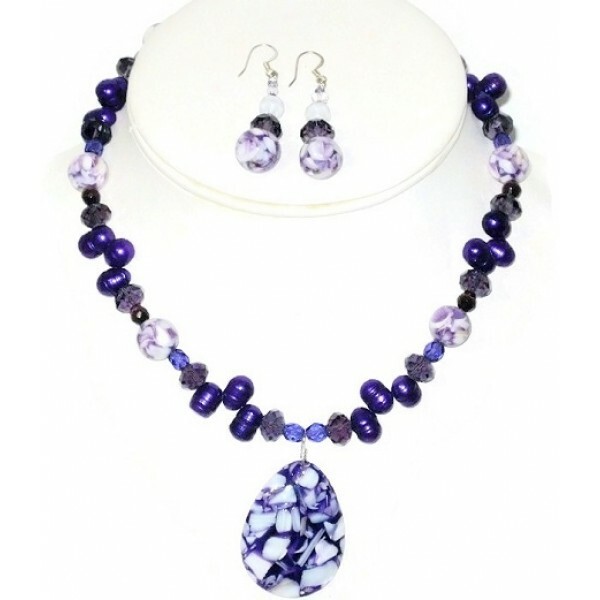 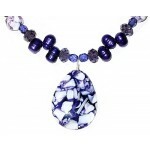 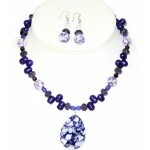 The necklace features a shell pendant accented with crystals, freshwater pearls, mother-of-pearl and faceted glass beads. 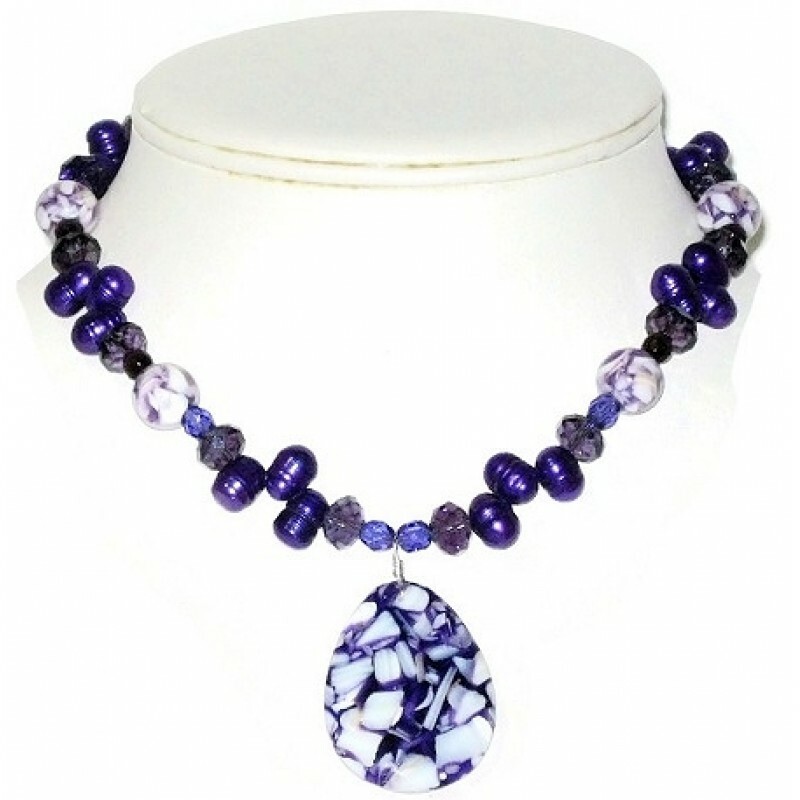 It has a silver-plated lobster clasp and measures approximately 16 1/2 inches. 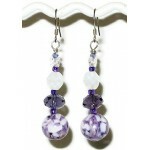 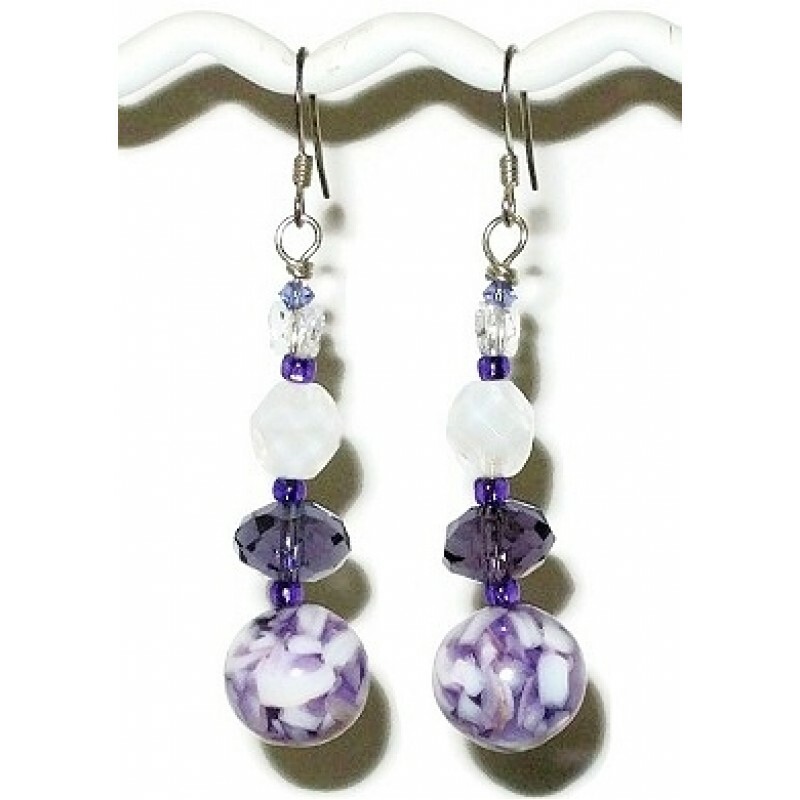 The matching earrings hang 1 3/4 inches from silver-plated earwires.